This blog came from humble beginnings. 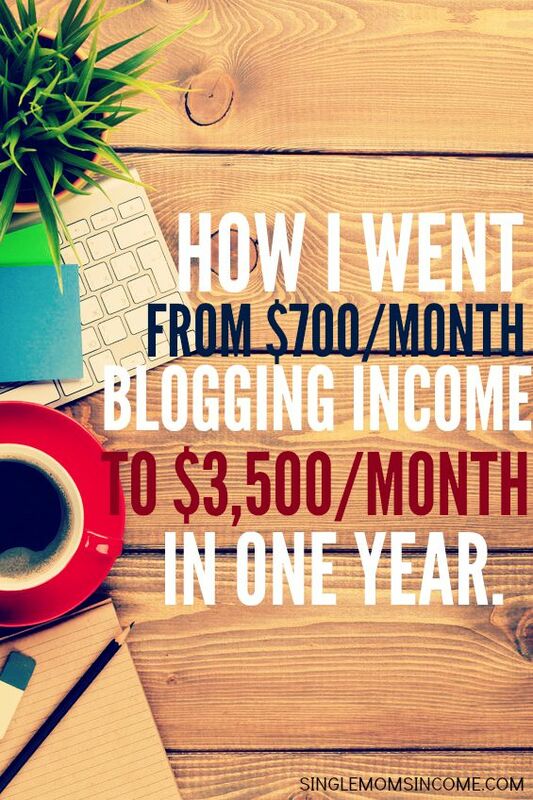 I first started this blog in October 2012 to document my journey in creating online income streams. I had just got divorced, was living in a spare bedroom at my Dad’s house, and was working two day jobs to get by. It sucked. I knew my best shot at creating more income was going to come from the internet and not my small town. So, I started this blog and began testing out ideas to make money. I failed at a number of things and then eventually stumbled onto this thing called freelance blogging. I figured out that I could actually get paid to write for other blogs. I went full force. After building that income stream large enough to quit my job (which was only around $1,800 per month at the time) I went full time. A little after that I started to get burnt out writing so many articles each week. I needed to diversify. To do this I began taking on virtual assistant work and started trying to monetize this blog. Monetizing my blog proved to be my favorite way to make money but also the hardest. Last year, however, I had a major breakthrough and have since five X’d the income brought in through Single Moms Income. 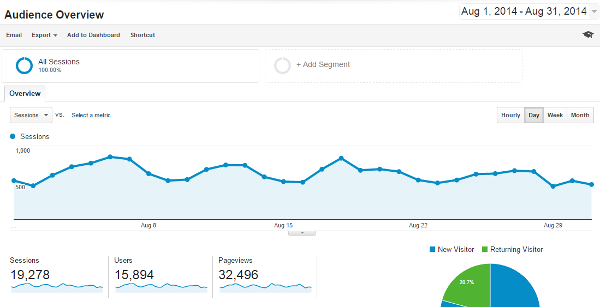 To 200,000+ pageviews in August 2015. So, how’d I do it? Social media has been huge for me. That’s not because most of my pageviews come from social media – they don’t. It’s because I learned that if I get at least a couple hundred social media shares on long, super useful posts (like this one or this one) that my search engine rankings would skyrocket. In other words, the more my posts got shared on Pinterest or Facebook the more people were finding me through Google search. That’s pretty cool. While my number one source of traffic has been Google (always has), my number two source of traffic is Pinterest, my third source is direct (thank you so much from the bottom of my heart for keeping on checking back here – it’s appreciated more than you know!) and my fourth top source of traffic is Facebook. This looks way different than it did last year when Facebook and Pinterest weren’t even on my radar. Next, I learned different monetization strategies. I experimented with ad networks and found that if I stuck an ad in a post after it became popular, rather than when it was first published and my regular friends (you) were reading it, that it was less annoying and more profitable. Now I constantly go back through and see what my top twenty posts are and I monetize them. I do this by sticking in an affiliate link if applicable. If not, I stick in a Google AdSense ad right smack dab in the middle of the blog post. Next, I started working smarter. You see, I’m a pretty introverted person. I prefer writing, emailing, and responding to comments over being on social media. The problem for a long while was that social media was kind of ruling me. I felt chained to Pinterest and even though I wanted to work on Facebook, I couldn’t keep up. After spending several months on Pinterest and learning first-hand how to really make it work I felt comfortable using software and now used Tailwind to automate my pinning. I also learned to schedule out Facebook so that I wasn’t spending massive amounts of time on there. I now complete ALL of my social media work in 2-4 hours per week. I believe that if you want to grow you should continually make investments in your business. Because of this I’ve taken several courses over the past three years. (I even took a $600 course when I was making much, much less and that course completely sucked.) Most of the courses I’ve taken were writing related. Elite Blog Academy was the first course that I’ve ever taken that was purely about blogging. It was a game changer for me. Once I took the course I felt committed and worked incredibly hard to implement all the things Ruth taught. And because of this work my income has exceeded my wildest expectations. Seriously, I can’t believe that this whole blogging thing is what I get to do for a living. EBA is currently closed but you can get on the waiting list right now to learn about future enrollments. Also, you can snag Ruth’s book 7 Surefire Ways to Boost Your Blog Income Overnight instantly, for free. This book helped me make more money quickly. Should You Take the EBA Course? Amazingly inspirational! You’ve come so far in just 3 years! BTW, I used your SEO eBook because I know that my SEO game needed work, and it’s already starting to work! Super easy to use and inexpensive – thank you! I am so glad I took your advice on EBA and your eBook is so helpful and I’m seeing results! This is great advice but so unaffordable for me at this time. I definitely need to take what advice I can (that I can afford) and implement it sooner rather than later. Just wanted to get your thoughts on why you don’t recommend EBA for those who’ve been blogging less than six months. I saw on EBA’s website they say it can be for “ambitious beginners”….but would like your insight since you’ve already been through the course. Since I’m just in the beginning stages of creating a blog I’m torn over what to do. On one hand, I’d like to buy the course so I can start off on the right foot…. (and since it’s $100 off it’s really tempting). However, maybe there are reasons I should wait to buy it. Let me know your thoughts. I guess I could always buy it since it’s on sale and then wait to actually go through it until I’ve been blogging a while. Thanks! I love when you write these kinds of posts. So helpful and very encouraging. I’m buying your book on SEO now! LOL! I followed the steps in your post on SEO a while back and I use it as a checklist before I publish each of my posts. I’m excited to see what other gems are in the book. Thank you! Thanks for a great article! At what stage in blogging would you recommend adding ads to a site? I am a very new blogger and am wondering if this is something I need to consider a few months from now or much further down the road. Great advice! Always looking for encouragement as I try to start my own successful blog. hi. I have a few questions but I with start with this one.. I want to start a blog but i have no idea where exactly or how to begin… I want to blog about different things but i have recently taken an interest on financing/budgeting and home management. I have a story to tell from losing my home in a fire to living on 1 income and barely making ends meet. I am starting a challenge with myself for November 1st. calling it the “NoSpendVember” month and would like to blog/vlog about my journey to becoming debt free in 2016 and reclaiming my LIFE. but i don’t know how to set up a website/youtube channel as it all seems very complicated. are there any suggestions? and also, what is the difference between blogging and vlogging? Thanks for sharing your experience. That’s an amazing increase in revenue. EBA is definitely on my radar… Hopefully that’ll be an investment I can make in 2016. Thank you for sharing your story! I’m still getting a handle on leveraging social media myself, so I appreciate hearing others’ stories of how they conquered it! Hi! Nice to meet you I saw your pin on Pinterest of course. My question is two parts 1. I have wanted to start a blog for awhile, but every time I get started I get so overwhelmed by everything you have to know and that I don’t know. Do you have any advice for a new newby like me? 2. What ,in your opinion is the best course for someone with no experience blogging? Thank you enjoyed your article immensely! Thank you so much for the information. 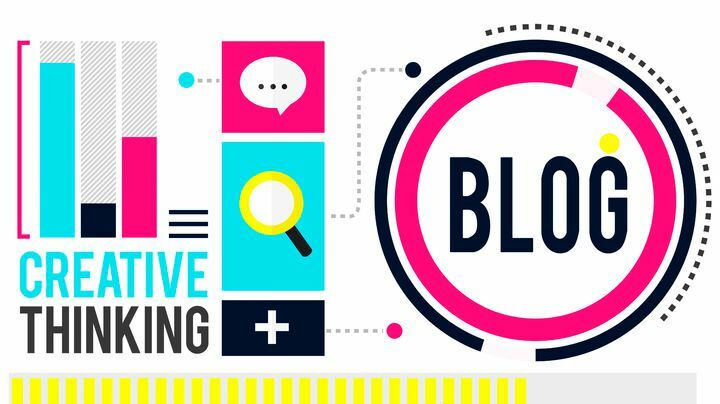 No that your blog has grown as much as it has do you still notice an increase in your page views and page rank on Google when you post to social media? I am currently working on building my social media presence and am hoping I have as much luck with it as you have. I am on the EBA waiting list already, excited to be a part of that in the future. Well thanks again for sharing, keep on blogging. Yeah. I definitely find that the more a post is shared on social media the better it does in the search engines! Google is still my number #1 traffic source and always has been. Very insightful. I have started my blog just few months back. Let’s see how long it will take to generate some income. Hang in there. It took me about a year to earn anything consistently. I’m just starting out and I so appreciate people like you who put all the answers out there. I’ve been using pinterest to learn as much as I can before diving head first. Its great for people like me who have all the hard work to give, but need some extra tools! Thanks so much for sharing!! Congrats on the growth of your blog. Your story is so inspiring and it goes to show what consistent daily action can do. I actually joined the last class of EBA and I love it. It’s definitely taught me how to turn my blog into a profitable business. I’ve started blogs in the past and had no clue what I was doing. This time around, I wanted to make sure that I did it correctly. I think it’s important to invest in your online business. There’s so much to learn and it’s impossible to learn it all for free. Especially, if you’ve never been an entrepreneur. I am actually deep diving into learning how to use Pinterest for my blog. It does take time to learn how to use it effectively. The first year of my blog, all I did was just pin my pins without any type of strategy. Now I am actually implementing a pinning strategy. I’m finally starting to see growth. I just wish that I would’ve taken the time to learn how to use the platform a lot sooner. Oh well, better late than never. Thanks for sharing your success with us. I have no doubt that you will just continue to see more success with the growth of your blog. I’ve pinned this so others can get inspired by your story. Thanks so much! Pinterest was a rough one for me at first. Social media has never really been my thing 🙂 With time it all get so much easier though. Best of luck to you! And then there is me, just wishing I could make $700 dollars a month, haha. Still new and working out the kinks, but I’m excited for my future in blogging. Great article. Thanks for the tips! You’re welcome! Just stick with it and keep working out those kinks! very good posting. this sort of article will certainly help newbie blogger to get stated and scale.